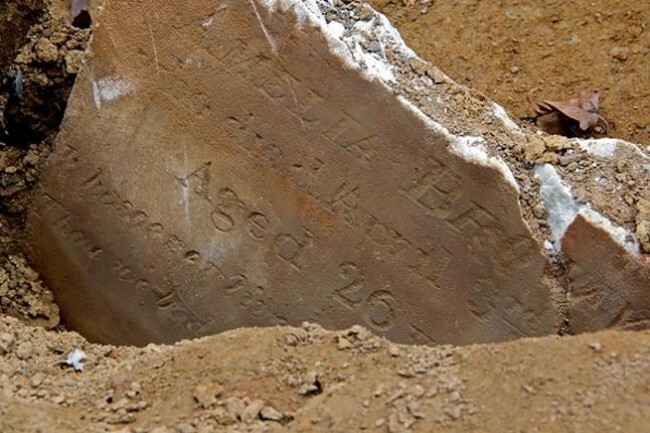 Two-year-old Mary Lavinia Singer died this date, July 14th, in 1849 and was buried at Bethel Burying Ground. Two-year-old Mary Lavinia* Singer died this date, July 14th, in 1849 of “Tabes” (Tuberculosis) and was buried at Bethel Burying Ground. The research materials available pose a mystery – who were Mary’s parents? In the 1847 African American Census, the Singer family headed by Theodore Singer contained him and three others. There were two females and two males; two under 5 years and two under 50 years. Only one was not a native of Pennsylvania. We don’t know Mary’s exact birth date so she may or may not be included in this survey. Theodore was a waiter making a reported $12 a month and his spouse worked as a laundress, likely earning $1-$2 a week depending upon demand. The family lived in desperate poverty with the whole family living in a 10 ft. by 10 ft. room with no running water. They paid $3 a month in rent or an equivalent to approximately $75 in today’s cash. This room was located at 322 Cedar Street above 7th Street. Cedar is now called South Street. Ms. Thomas died on January 2, 1854, of kidney disease and was buried at Bethel Burying Ground, likely with or next to Mary Lavina Thomas. Her age was reported to be 56 years old. ← Ten-year-old Alexander Samons died this date, July 4th, in 1842 and was buried at Bethel Burying Ground.